Jean Kerr's "Don Brown's Body" was the first I'd read, in her Please Don't Eat the Daisies, a collection of essays and fictions, which might (unfairly) mostly bring to mind the Doris Day film (and subsequent tv series) based on the coping-with-children title entry, very much in the Shirley Jackson/Erma Bombeck "safe" mode of such writing, though perhaps a bit less anodyne than they could be. Spillane is one of two primary targets here, the other the pomposity of staged readings, particularly when devoted to such at times heavy going as the epic poetry of Stephen Vincent Benet...a genius, but definitely one better remembered for his shorter works. (Kerr was a playwright as well as prose writer, and Kerr's husband was a prominent stage drama critic, Walter Kerr, and presumably not a little time not spent with the children was devoted to accompanying her husband to some lesser as well as greater performances, when she wasn't attending or attending to productions on her own). "Don Brown's Body" was my favorite piece in the book, deft and certainly with a Harvey Kurtzmanesque insouciance taking down her mash-up subjects. Sally's beverage of choice, and the reason it was, was perhaps my favorite single joke in the piece. Secret Songs" and a story in part a memorial for her, "Ill Met in Lankhmar". So, even though he could and did write in a Spillane mode less parodically (see "I'm Looking for 'Jeff'"--a story, published in Howard Browne's Fantastic, which upset James Blish by its apparent faithfulness to a Spillane template), his desire to parody the extremity of Spillane's black and white judgment of his women characters was strong, and elegantly expressed in this novelet, originally in the first volume of Frederik Pohl's anthology series Star Science Fiction. The imagery of the alien creature, slightly inebriated and with all loving intent losing the ability to control its woman-like appearance, has stuck with me, as it understandably upsets the already somewhat unmanned Millane in the story. 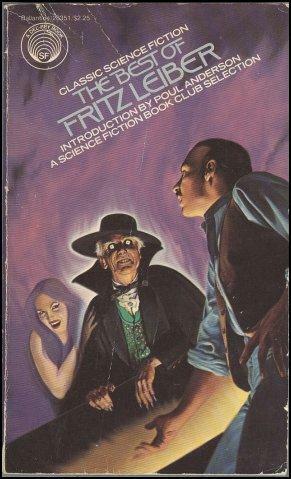 I first read it in The Best of Fritz Leiber, where Leiber has a brief comment on it as he does on all the contents. 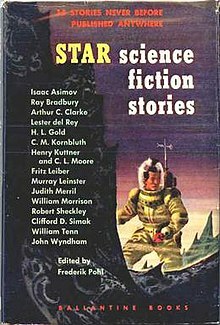 And Howard Browne's "The Veiled Woman" is the least (on its face) parodic, and perhaps even the least fond (though the misogyny Leiber chides and Kerr gleefully mobs in their stories is slightly more played along with, in some ways and less in others, in this novella than in the others). 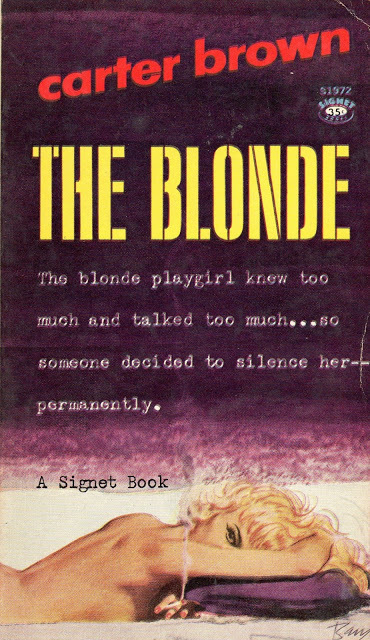 Browne famously ghosted this story, much to Spillane's initial displeasure, after Spillane's "The Green Girl," the contracted-for story for the third issue of Browne's new magazine Fantastic, was described in some detail by Spillane in the course of a photo-profile in Life magazine, released at about the same time as the Fantastic issue was going to press. 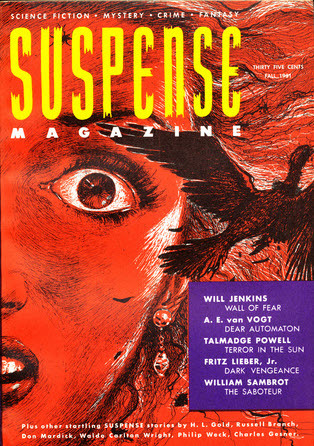 Faced with the "scoop" of the actual Spillane story by one of the largest-circulation magazines in business, and, as Browne would later admit, because he absolutely hated "The Green Girl" as a story, Browne hurriedly wrote a Spillane pastiche that also gathered up a favored trope of Browne's predecessor editor at Ziff-Davis's fiction magazines, Ray Palmer, who always was ready for another Lost Civilization, Hidden from Human Ken, story. 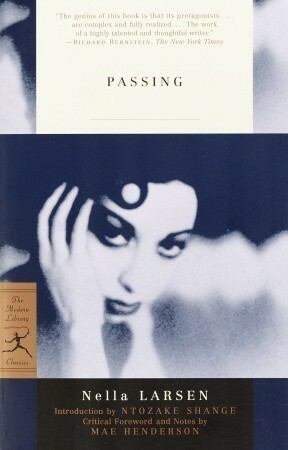 "The Veiled Woman" also allowed Browne, a not untalented crime fiction writer in his own right (and capable of competent if uninspired copy in sf, and sometimes more-engaged fantasy), to take a whack at McCarthyism and the Cold War, from the same sort of Benevolent Visitor perspective as Leiber had employed...only, to keep it true to the Mike Hammer-and-company canon, things turn out much less well for everyone involved. (The not-quite nihilist vigilantism of Spillane's stories would certainly be amped up the next year in another magazine that got of to a popular start in part due Spillane's by-line on new fiction within, Manhunt.) One imagines that Browne was enjoying mocking Spillane's work to some extent, and perhaps more acutely than some feeling envious of Spillane's market for the work he wanted to do...while Browne increasingly sought to find time to write, eventually letting his editorial duties go by the wayside to do so as Ziff-Davis cut the resources they made available to their fiction magazines. 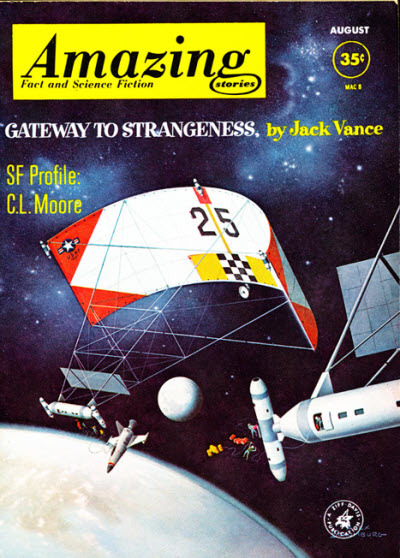 However sliced, this third issue of Fantastic is still legendarily the best-selling single issue of any fantasy or sf magazine published so far (I've been looking for an image with the banner-wrap that announced the "Spillane" story...the usual citation is that the third issue of Fantastic sold about 300,000 copies, between the demand for Spillane fiction and the boost, ironically, the Life profile might have given to reader curiosity...). 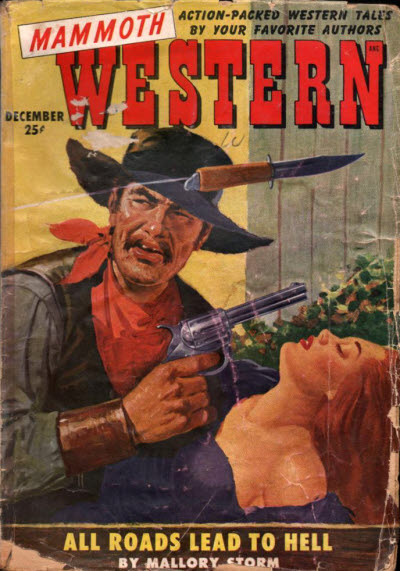 For more of today's obscure work, mostly books, please see Patti Abbott's blog. 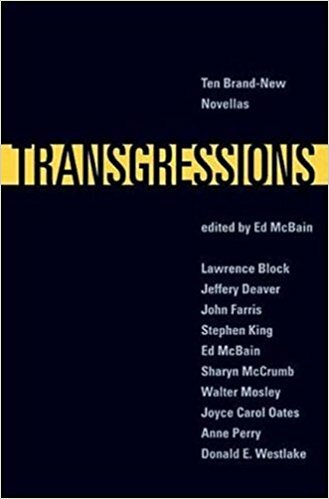 William P. McGivern is a writer who shouldn't need rediscovery, but he consistently is being reintroduced, as publishers keep proudly offering his work (with good reason) with notes of just how good he was (with good reason) and yet you probably don't know him except indirectly, as the source of one or another brilliant film or television episode. 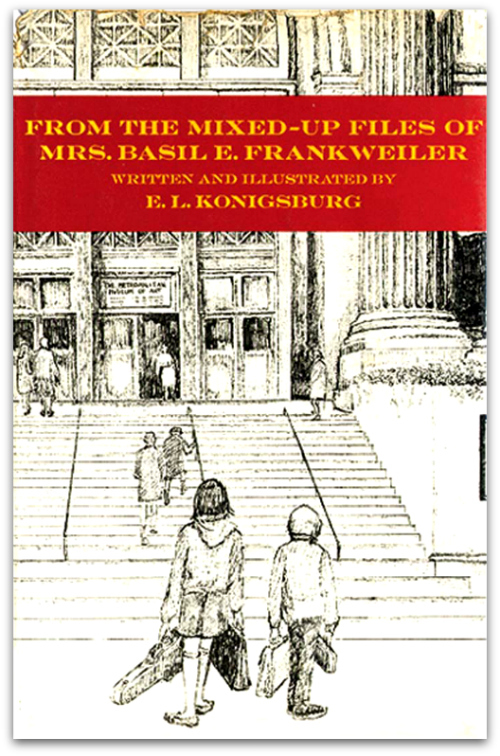 Despite having written a number of other well-received novels, including her first, published as was From the Mixed Up Files in 1967 and a runner up for the 1968 Newbery that Frankweiler won, E. L. Konigsburg is remembered almost exclusive for this one novel, which (with good reason) has stayed in print consistently since 1967, even if the film adaptation, The Hideaways, a Rather Good Try starring Ingrid Bergman as Frankweiler, fizzled as a commercial property and was pulled down from YouTube not long ago mostly so Warner's burn on demand Archive label would have a clearer field in which to sell it to you. It's the 60th anniversary year for the McGivern novel the 50th for the Konigsburg. William McGivern began publishing as part of the cluster of writers around Ziff-Davis's Chicago-based fiction magazines in the 1940s, in fact with a collaboration with David Wright O'Brien, along with McGivern the best of the writers to break into print thanks to Ziff-Davis editor Ray Palmer (such other ZD Chicago/landers as Robert Bloch and eventually Fritz Leiber had Been Invented or at least first published elsewhere). 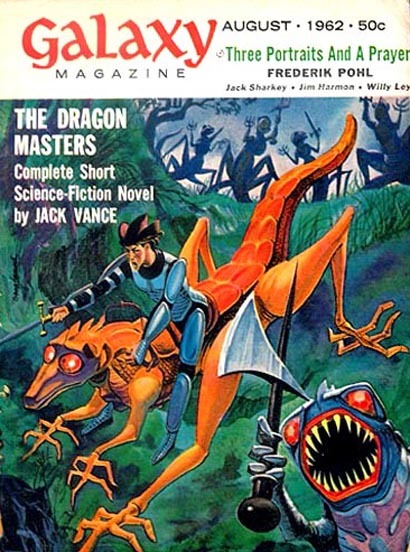 Both of those young men went off to World War II, and McGivern was able to come back...he would grind out reasonably good copy for Palmer magazines, which were not on balance looking for anything beyond routine light adventure fiction too much of the time, along with the rest of the writer stable, but, in the manner of Bloch when also providing mere copy, even McGivern's routine stories often demonstrated a certain sophistication of technique or ideation that helped set them slightly apart from the typical Chester Geier or Paul Fairman story, or Howard Browne banging out just another page-filler...Browne, of course, being one of the other genuinely talented writers often simply grinding away for Palmer's magazines, and who eventually became the fitfully better successor editor to Palmer for ZD fiction magazines; Paul Fairman succeeded Browne in that position, and arguably averaged even worse than Palmer as editor, despite having an even more talented, on balance, cast of page-fillers turning in most of the copy in his tenure, and their work augmented by the occasional actually good story his eventual successor Cele Goldsmith pulled out of the slush pile as Fairman's assistant. (Fairman's Usual Suspects in terms of delivery of routine to occasionally better material, published apparently without anyone reading it first, in the mid '50s were Milton Lesser, not yet legally Stephen Marlowe, Robert Silverberg, Harlan Ellison, Randall Garrett and, increasingly by the end of Fairman's tenure, Henry Slesar; among the items Goldsmith found was Kate Wilhelm's first published story.) 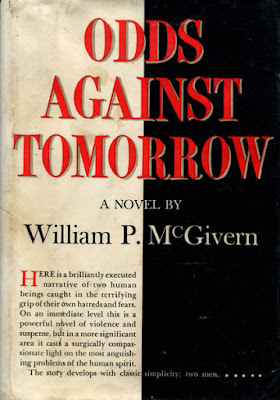 But by the mid '50s, McGivern had already given up on supplementing his income as police reporter among other things for the Philadelphia Bulletin with hacking for Ziff-Davis, as his crime fiction was starting to get consistently good reception from better-paying markets such as The Saturday Evening Post and Blue Book, and from Hollywood, with film adaptations of his novels The Big Heat, Shield for Murder, Rogue Cop and Hell on Frisco Bay released in 1953-55, following television adaptations of his shorter work on Lights Out, Studio One and Suspense in 1950-52. Cosmopolitan became a consistent market for McGivern's fiction for at least a decade, starting with a novella version of Odds Against Tomorrow, published ahead of the novel in hardcover, also in 1957. Odds Against Tomorrow would also be filmed, for 1959 release, rather well but in a sort of hothouse manner, with one of the most over-the-top climaxes in film history; the novel is more subtle, and with a much more realistic ending that has its own dramatic heft. 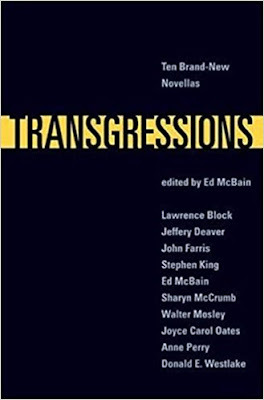 Like most of McGivern's 1950s crime fiction, the novel is set in and around Philadelphia, but the author is intentionally circumspect about that; one early tipoff is that an elevator operator wonders if one of the primary cast knows the score of the Eagles game in progress. 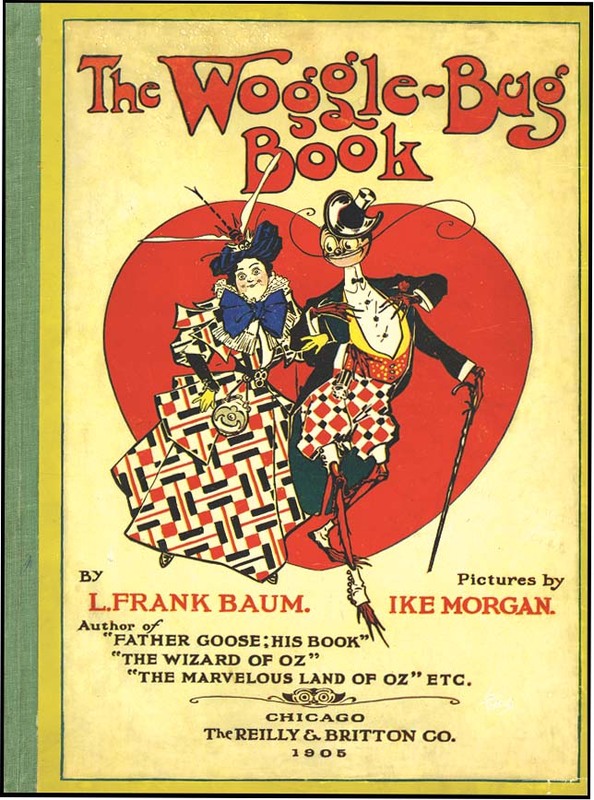 But like the film, the novel deals intensely with race relations and the tensions along those lines brought out by the alienation of the working people in this country, as well as tensions between the hothead former soldier Earl and his cohabitating womanfriend, and current financial support, Lorraine. Earl and another lost veteran, Ingram, a compulsive gambler with no one left in his life, are recruited for a bank job by Novak, who is setting up a small crew for the purpose. Unlike in the film, Ingram is not the musician Harry Belafonte plays, but is nearly as desperate and impulsive, and is African-American and not afraid to mock anyone who wants him to take a slight because of that; Earl is Texan out of grinding poverty, and Caucasian, with both a compulsive sense of honor and rigid sense of How Things Ought to Be, including relations between the races, that that background inculcated. As with the film, most of the most important parts of the story will revolve around Ingram and Earl, and Earl and Lorraine, as the crime doesn't quite resolve itself they way Novak and company hoped, nor do the protagonists behave quite the way the police pursuing them quite expect. It's a serious novel of character as well as a tense account of a crime not quite foolproofed, and while the main characters don't end up where they hoped they might, they do have somewhat more to say for themselves than their even more debased correspondents in the film adaptation. Bill Crider this week is considering Ross Macdonald, and McGivern isn't too far in his talent and appeal from Kenneth Millar's crime fiction; as I reread this for the first time in almost thirty years, I was also reminded even more than I was then of Algis Budrys's almost exactly contemporary novel The Death Machine, originally published and usually reprinted as Rogue Moon, though the Budrys novel is more satirical as well as then near-future science fiction, rather than contemporary crime fiction; both have a small group of damaged people about to undertake a very dangerous task requiring expert team effort, and both make rather important and not too dissimilar points about what in and how lives matter, even when it seems that the characters have lost sight of such guiding principles. 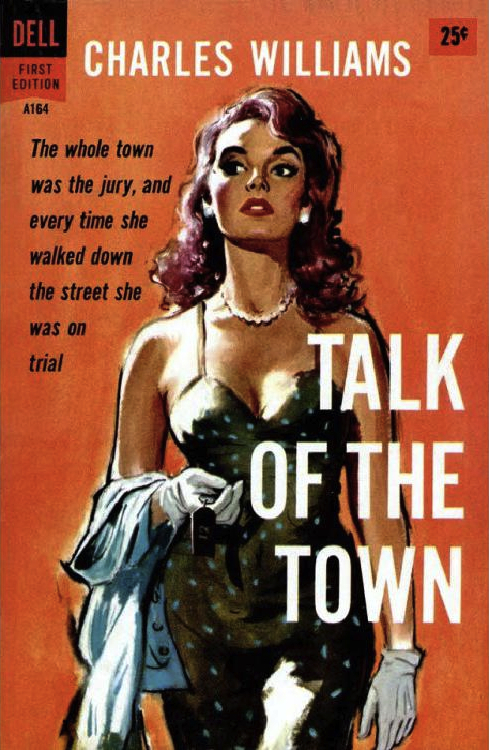 The tone even feels similar, hardboiled without resort to the cliches well in place by the late '50s, and the mix of conscious and less-conscious understanding of just how the characters are getting at each other, that is not merely simply a matter of the tension of the job at hand or clashing personality. I'm also a bit amused about how I first came to this novel, after seeing the film, which I was first drawn to because of the soundtrack; I knew of McGivern's work, and had read a little of it in anthologies, but was a hungry fan of the Modern Jazz Quartet beginning in the latest '70s, and one of my early used-LP purchases was Patterns, the MJQ's interpretation of the score the quartet's pianist John Lewis had written for the film (some of which was also on the soundtrack, though mostly mixed in with larger-group recording). The film and the book are both eminently worthy of your time (as is the album), even as they diverge rather profoundly by their end. And both works have been, I think, more influential on similar work which has followed than is often mentioned. To be reconstructed later today after a catastrophic crash. Grr. This Friday's (evening) crop of reviews of books, and magazines and more, that the contributors feel might warrant more attention than they've received or received of late (except for those which are warnings). A few contributors might be added over the course of the day, as they upload their reviews...if I've missed yours or someone else's, please let me know in comments. Thanks, everyone! And please spare a thought for those feeling the weight of poor health and other burdens, near and dear to several contributors this week. Patti Abbott will be collecting the links (much more promptly!) next week, and as always, it's been a pleasure to gather them while she and her husband tend to other business. Paul Fraser: Astounding Science Fiction, July 1953, edited by John W. Campbell, Jr.
Samuel Wilson: "All Roads Lead to Hell" by "Mallory Storm"
This 1980 volume somewhat unsurprisingly gathers materials from the 1970s and earlier...one might be surprised by the eclecticism of those materials, including short stories, essays, novel excerpts and others from longer works, one-panel cartoons, comic strips, poetry, quip quotations, letters to editors of various publications, transcripts of a couple of standup duo Pat Harrison and Robin Tyler's comedy routines, and songs, some with the actual sheet music included along with the lyrics. 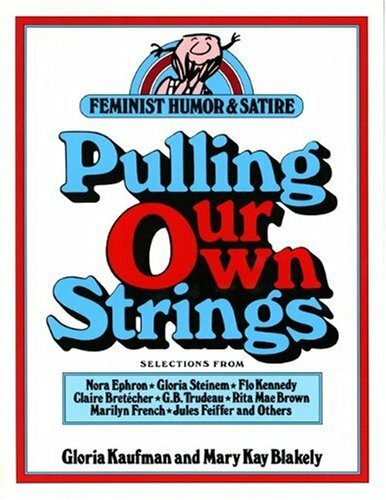 C0-editor Gloria Kaufman in her introduction draws a distinction between what she sees as "female humor" and feminist humor: the former is usually full of bitterness, as it is mostly about the impossibility of the improvement of women's plight in society, and if anything celebrates working around while accepting rather than working against traditional limitations, while feminist humor is predicated on the possibility of change for the better, for liberation and equality, and highlights the absurdity of misogyny as well as its not at all necessary evil; Mary Kay Blakely in her introduction notes that feminist humor is often tasked with being the only humor of an oppressed group that really shouldn't ever hurt anyone's feelings in any way, and the impossibility of that task. While some of what is collected here, being satire and other comedy from a disadvantaged group and the wits within that group and their sympathizers, is at times bitter or angry, that's justified, and not all of it is by any means...a fair amount of whimsey and gentle observation appear alongside, or even within the same works. 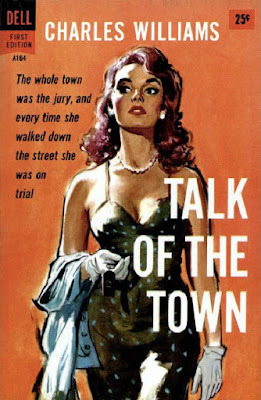 Josie takes the stand / by Ruth Herschberger. As one can see, there's quite a mix of mostly fairly contemporary writing and other art, along with some classic examples, many from 19th Century feminists and some few from earlier yet (you can't leave out Mary Wollstonecraft), and the TOC doesn't cite the comics contributions, including multiple items by Jules Feiffer, Gary Trudeau and Johnny Hart as well as Nicole Hollander and Bulbul. 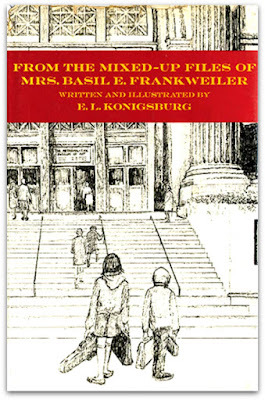 And, given that Kaufman taught in South Bend and Blakely lived in Fort Wayne, Indiana, at time of assembly, certain bits of locally-published material appear at various points in the book that editors elsewhere would likely not've seen, giving this somewhat unusual university press item a regional flavor that probably didn't hurt in getting through the approval process. Certainly the Nora Ephron essay has since become a bit of a classic itself, and others here should've; excerpts from now largely overlooked former bestsellers as Kinflicks and The Women's Room are useful to have at hand, as are the multiple excerpts from Sheila Ballantyne. Those who remember Joanna Russ's "Useful Phrases for the Tourist" fondly will find "Dear Colleague" cuts a similar path rather closer to home. Inexpensive copies of the 1980 and 1994 reprint editions (I hope the later printing had better binding than mine does) are to be had from the usual sources, and one can definitely do worse. 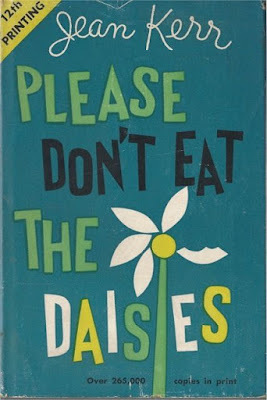 This very late entry in Friday's Books hopes to join Patti Abbott's selection of same as detailed and linked here; next week, I will be gathering the list again.